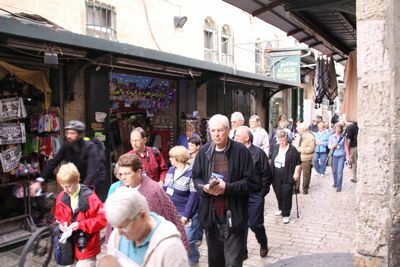 We are delighted that you are considering a trip to the Holy Land with us. 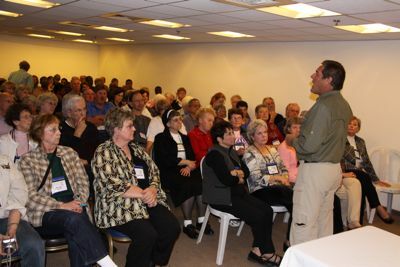 The next trip will be January 5-16, 2010 with a pre-tour to Egypt departing on January 1. Here is the brochure and registration form. We are still taking deposits, so in order to reserve your place, please fill out the reservation form and mail it with your $300 per person deposit check to Golden Eagle Travel, 21250 Excelsior Blvd., Excelsior, MN 55331. We are also offering a pre-tour to Egypt to see the pyramids and climb Mt. Sinai! 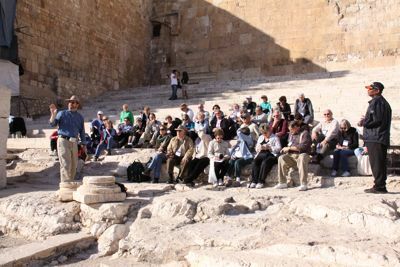 Our travel agent Bonnie Lane will accompany those interested in the extension who will then join the main tour as it arrives in Tel Aviv. Several are already signed up for that adventure and space is limited. We are excited to let you know that Fr. Steve Ulrick will be the spiritual director. He is from Nativity of Mary Parish in Bloomington, MN and has hosted the Great Adventure live Bible study at his current parish as well as his previous parish in Chanhassen, MN. His friendly and pastoral manner as well as his grasp of the story of salvation history will be a terrific addition to the tour, not to mention the invaluable gift of his ministry to bring us the Eucharist in daily mass. Join Jeff, Emily and Fr. 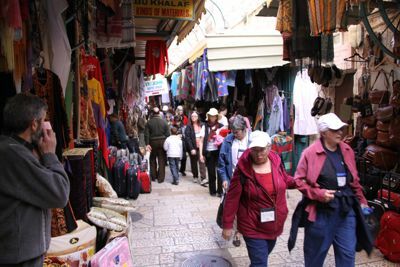 Steve Ulrick on a pilgrimage to the Holy Land where you will find a new dimension of understanding Christian history and the life of our Lord. 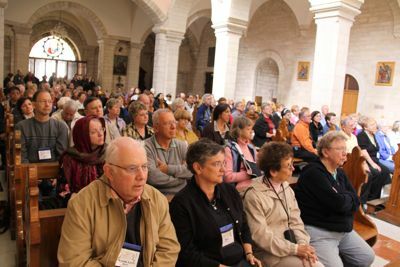 Join Bishop Aquila of Fargo and us on a pilgrimage to Greece & Turkey with daily mass, including 4 day cruise of the Greek Isles. 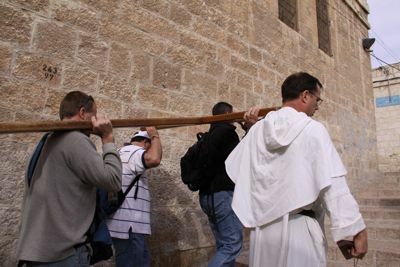 Bring the whole family for a pilgrimage/vacation with activities geared for kids of all ages! Join Jeff, Emily and their younger daughters and Fr. Mike Wehmann.